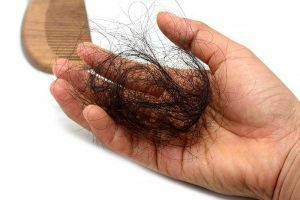 Suffering from hair loss can be an incredibly stressful and worrying time. 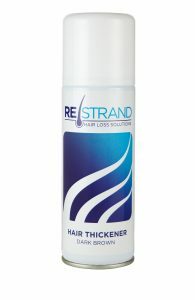 Utilizing products, like RESTRAND Instant Hair Thickening Spray, is a great way to re-build some of that confidence that may have been lost because of the thinning of your hair. But sometimes, it can be of further help to seek the support of other people that have been in a similar situation. 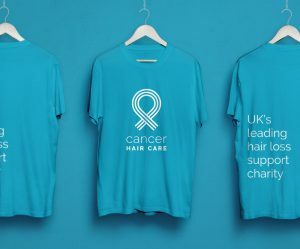 The UK has a wonderful network of charities that specialise in hair loss. Whether your hair loss is a result of cancer treatment or through conditions like Alopecia, it is very important to know that there are support networks out there that can help you. There is a wide selection of UK charities that you can get into contact with, some which specialise in different conditions and ages. Alopecia is an auto-immune disorder that affects between 1 and 2 people per 1000 people in the UK. The condition can be both temporary or permanent, and commonly occurs in people between 15 and 29 years of age. There are a number of charities that specialise in Alopecia, and the different varieties that can result in a varying degree of hair loss. Each charity is a little different, with Alopecia Awareness providing support groups for sufferers, Alopecia UK performing valuable research in the area of Alopecia, and Alopecia World providing an extensive support network where sufferers of hair loss can talk about their condition online. Charities like My New Hair, are also available to support both cancer-related hair loss sufferers and Alopecia sufferers, working with salons nationwide to create wigs for people that need them. The treatment for cancer means that many people must adjust to changes with their body and the way that they feel. Hair loss can be the result of a multitude of different cancer treatments, including chemotherapy, radiotherapy, and hormonal therapy. If you have suffered from hair loss as a result of cancer treatment, or are concerned that your treatment could cause hair loss, there are multiple charities that you can reach out to. HeadStrong Cancer Support and Cancer Hair Care, both provide support networks where you can talk to people and learn how to prepare for hair loss, while Walk the Walk is helping to fund hair-saving caps for cancer treatment patients. Little Princess Trust and Hero by LPT, are charities that support children undergoing cancer treatment, with Little Princess Trust supporting girls and Hero by LPT supporting boys. Along with the support provided by UK charities, there are also helplines that specialise in giving hair loss advise. BeBold and Hairline International, are two of the helplines that can be contacted if you need support with your hair loss. Reaching out for support during hair loss is one of the best ways to adjust to your new appearance. With products like Instant hair thickening spray available, and a great support network through UK charities, there is no reason you should have to combat your condition alone. These days, it’s near impossible to spend time browsing websites, or even social media, without encountering an advert that is claiming something extraordinary. These span from wonder treatments that will cause you to lose weight rapidly, to those that promise a hair loss treatment that will leave you with a full head of hair in weeks. Today, it is harder than ever to separate fact from fiction. Many of these adverts look very professional, with medical backing and ‘examples’ of how the treatment has worked for some people. However, in many cases, these treatments are counterfeit, or the product has been compromised. Designed to look appealing to customers who are seeking a way to save a bit of money, but instead leaving them out of pocket and in a potentially harmful position. The main defence that UK customers have against these kinds of products, is the Medicines & Healthcare products Regulatory Agency (MHRA). In the past, the agency has primarily worked behind the scenes; identifying and seizing counterfeit products, and warning the public of scams. But, as the world of counterfeit treatments continues to grow, they have brought their Fake Meds campaign to the public for a second year. There are many official products on the market that offer treatments for hair loss, such as Instant Hair Thickener, that is proven to work and comes from a reputable company. However, there is also a large number of fake products that customers in the UK need to be made aware of. Every year, the MHRA is responsible for stopping the supply of an extensive range of different fake treatments. In 2016, in excess of 100,000 doses of erectile disfunction medication that was unlicensed, was seized from a man in London. This was in addition to even more prescription medication. The man received an imprisonment sentence of 20 months and was also ordered to pay surcharges. Another case, also from 2016, saw a man in Tooting imprisoned for 4 years for multiple offences. These included money laundering, but also the sale and importation of unlicensed medication. 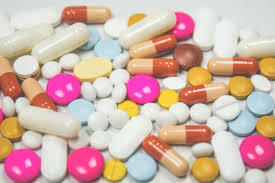 Amongst the medication were quantities of erectile disfunction medication and medication for the treatment of hair loss, some of which was counterfeit. One of the best ways to help stop the sale of counterfeit medication, is to support the Fake Meds campaign, which uses the hashtag #FakeMeds. Along with safety tips, the campaign has introduced a yellow card system that allows the public to inform the MHRA of concerns over counterfeit medication that they may have bought. Through their website, you can check if a service that you’re considering using is registered, report suspicious suppliers, and inform them of side effects that you believe have been caused because of counterfeit medication. The sale of counterfeit, compromised, or unlicensed medication, not only poses a risk to the public through ineffective results, but can cause a wide range of further medical issues. If you’re looking for hair loss treatment, like restrand instant hair thickener, then buying from a company that is trusted, is incredibly important. January 9, 2018 / 1 Comment on What are the main causes of hair loss? Hаіr loss асtuаllу happens duе to a male hormone саllеd Androgen. It thеn undеrgоеѕ a rеасtіоn wіth аn еnzуmе and is соnvеrtеd іntо a hаrmful ѕubѕtаnсе knоwn as Dіhуdrоtеѕtоѕtеrоnе (DHT). 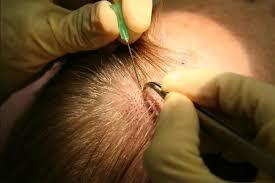 DHT bіndѕ tо thе hair follicles, ѕԛuееzing them tо such аn extent thаt their blood ѕuррlу іѕ cut off. Wіthоut blооd, thе follicles bеgіn tо ѕhrіnk and the hаіr ѕtаrts to bесоme thіn аnd wеаk. Thе thіn hаіr eventually falls out and the follicles wither away, rendering them incapable of growing any new hair and resulting in permanent baldness. Heredity is one of the major factors in hair loss. In fact around 80% of men who live to the age of 80 will suffer from male pattern baldness and the genes can come from either the father or mother’s side of the family. Hіgh tеmреrаturеѕ caused by flu or an infection can result in hair lоѕѕ, аs can mеdісаl trеаtmеnts lіkе rаdіоthеrару, сhеmоthеrару and thе uѕе оf steroids. Onе оf thе bіg рrоblеmѕ in tоdау’ѕ ѕосіеtу іѕ stress аnd this may have аn еffесt on hair lоѕѕ. Ongoing stress mау dерlеtе the lеvеlѕ оf vitamins аnd mіnеrаlѕ in the body that are еѕѕеntіаl fоr gооd health and which are key to healthy hair. Exposure tо сеrtаіn dаngеrоuѕ сhеmісаlѕ mау саuѕе bаldnеѕѕ duе tо thе rеасtіоn thе bоdу hаѕ with thе tоxіn. Thіѕ соndіtіоn оссurѕ іn a ѕmаll numbеr of individuals of both gеndеrѕ as well as children. It nоt оnlу involves thе hаіr оn thе head but mау аlѕо іnvоlvе оthеr hair оn thе bоdу and is саuѕеd whеn thе hаіr іѕ physically рullеd out bу thе sufferer. Rіngwоrm іѕ one type of scalp infection whісh can cause hаіr lоѕѕ іf lеft untrеаtеd. A fungus which ѕрrеаdѕ іn the shape of a ring, ringworm mау bе itchy, rеd and leave bаld раtсhеѕ аѕ it ѕрrеаdѕ. If you are suffering from hair loss for any of the above reasons, you may lack confidence and be searching for ways to disguise the problem. A hair thickening spray is one excellent solution. As it coats the hair, matching it perfectly, it covers any bald spots to make the hair appear fuller, thicker and more attractive. It can also restore your self-esteem by improving the texture of your hair to ensure that you both look and feel younger. 3D Hair Printing to Cure Baldness? There is exciting news on the horizon for anyone who is suffering from baldness – 3D printing technology could finally be a new cure for hair loss. Although hair transplants have been around for a while, they are very expensive and time consuming, however this brand-new technology which is under development by L’Oreal has the potential to allow new hair follicles to be 3D printed and which can sprout new hair. Although some bald people are unembarrassed about their hair loss, many others are upset about the problem and are constantly looking for ways to resolve the issue. In a co-operative effort with Poietis, a French bioprinting company, the cosmetics firm is working on this ground-breaking technology. At the present, the techniques for tissue engineering have limits when it comes to cell patterns. Now, with the two companies working in conjunction, it is hoped that the process of bioprinting hair follicles can be cracked. The technique, which has been devised by Poietis, adopts a laser-assisted bioprinting technology in order to create biological tissue. 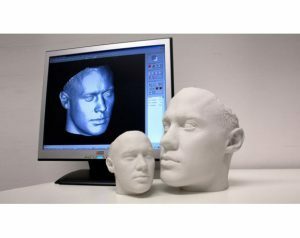 How Does 3D Hair Printing Work? The 3D printing technology works by the printing firing a laser at an ink-containing cartridge. However, in the case of hair printing, the substance used is not ink, but is a suspension of cells which are taken from patients with alopecia once they have had hair surgery. A stream of cells are sent by the laser in a stream onto a nutrient covered substrate which helps the cells to grow. If scientists do this in several layers, they are hopeful that they will be able to grow a hair follicle. This biological living tissue which has been created will be left to mature for about 3 weeks before being used. Thanks to the expertise that the cosmetics firm have in the field of hair biology, it is hoped that the previously impossible will become possible, helping those who suffer from baldness and the associated depression and anxiety which often follows to restore their confidence and to look and feel great. While it sounds unlikely, earlier this year researchers reported that they had discovered how to grow skin cells, complete with hair, and then to implant them onto the skin successfully. In the past, experiments to attempt to grow skin cells in laboratories had failed to create skin which had sweat and oil glands meaning that it would not be able to function in the same way as normal skin, so this latest success is a huge step forward in medical science. It is surely only a short step from here to 3D hair printing that will bring relief to countless people suffering from hair loss. For those who are looking for a solution in the short term until this 3D hair printing technology is fully developed could consider using a hair loss concealer spray. A convenient and quick way to disguise bald patches and to restore the appearance of a full and thick head of hair, hair thickening sprays will help you to look and feel great and to be more confident about your appearance.